Supernovae are the swan song of giant stars. These cosmic cataclysms are tremendous explosions lasting a few weeks and bright enough to outshine entire galaxies. But the light and heat that astronomers see with telescopes is make up only about one percent of what's happening. Mostly they produce a deluge of neutrinos, the small, ghostly particles that barely interact with normal matter. This week on the Physics CentralPodcast, how neutrinos are key to unlocking the secrets of these interstellar explosions. An artist's rendering of a supernova. 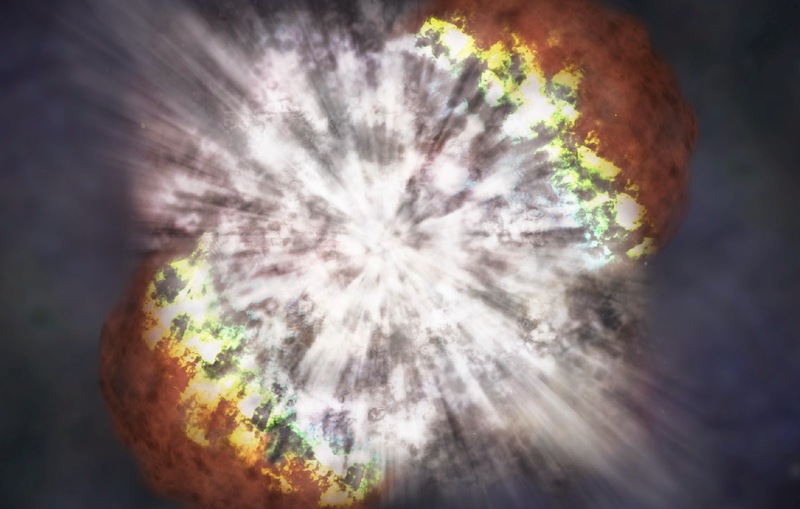 Being able to catch a supernova in action would yield a tremendous amount of scientific data. Physicist Kate Scholberg is eagerly waiting for the next supernova near enough to Earth that we can detect its neutrino signature. She helps run the Supernova Early Warning System, a collaboration of neutrino experiments around the world that are constantly on the lookout for the tell-tale signals. 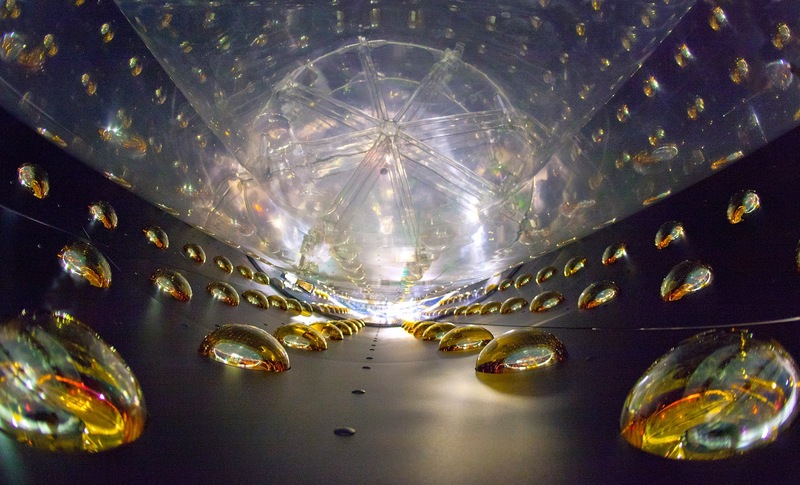 The Daya Bay neutrino detector which recently joined the SNEWS collaboration. Catching a supernova in the act would help Christian Ott peer deep into the heart of these exploding stars and finding out what makes them blow. He's been simulating them for years, but as his computer models have gotten better, he's been having a harder time getting a giant star to explode. Because of that, he's started to say that the way we've been thinking about supernovas all this time needs to be fundamentally reexamined. 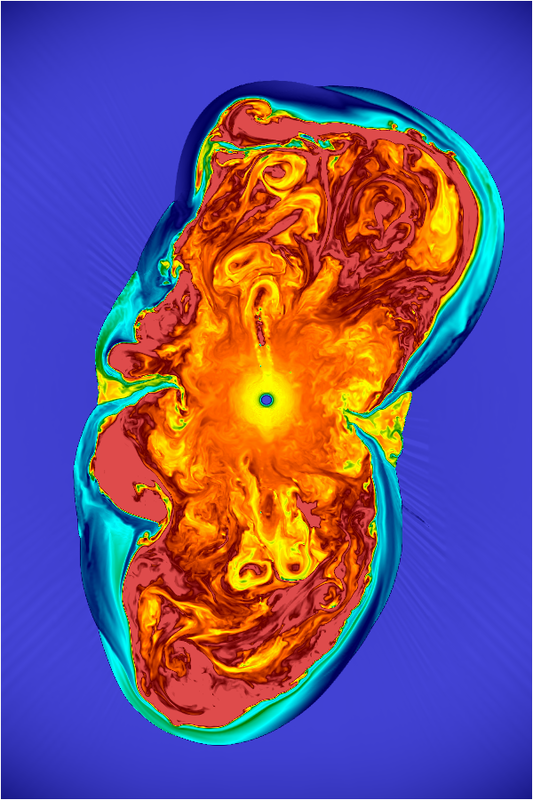 One of Ott's simulated supernovas.